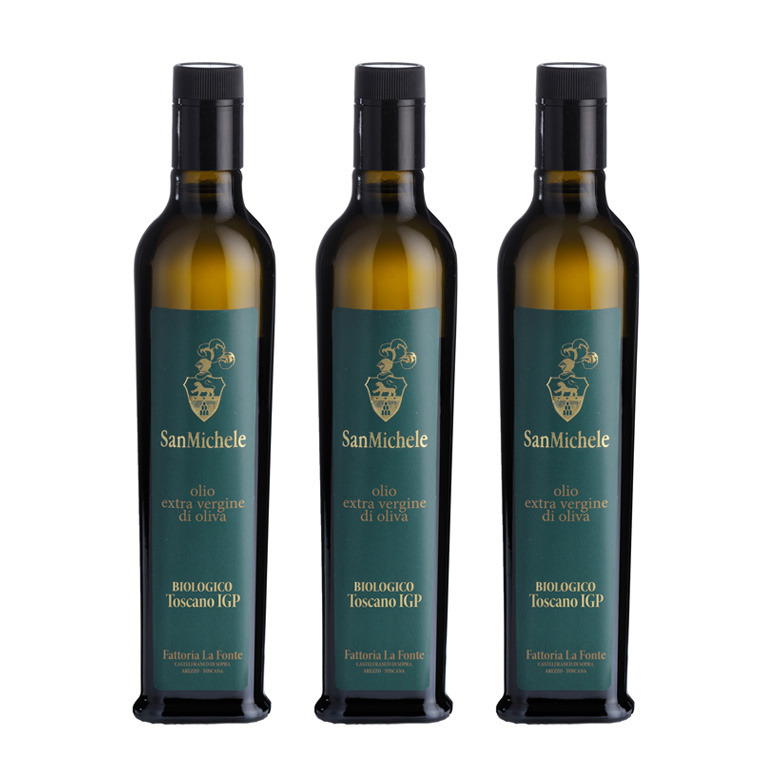 The San Michele Tuscan Extra Virgin Olive Oil is produced with olives coming exclusively from our olive groves in the Tuscan hills of Pratomagno between Florence and Arezzo in the town of Castelfranco Piandiscò. 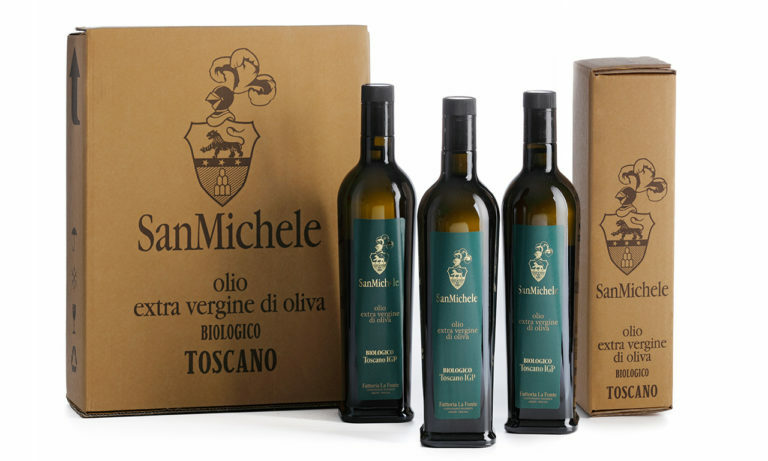 The special micro-climate favours olive trees and the altitude of our land at 350/470 metres above sea level gives San Michele Organic Olive Oil its unique features. 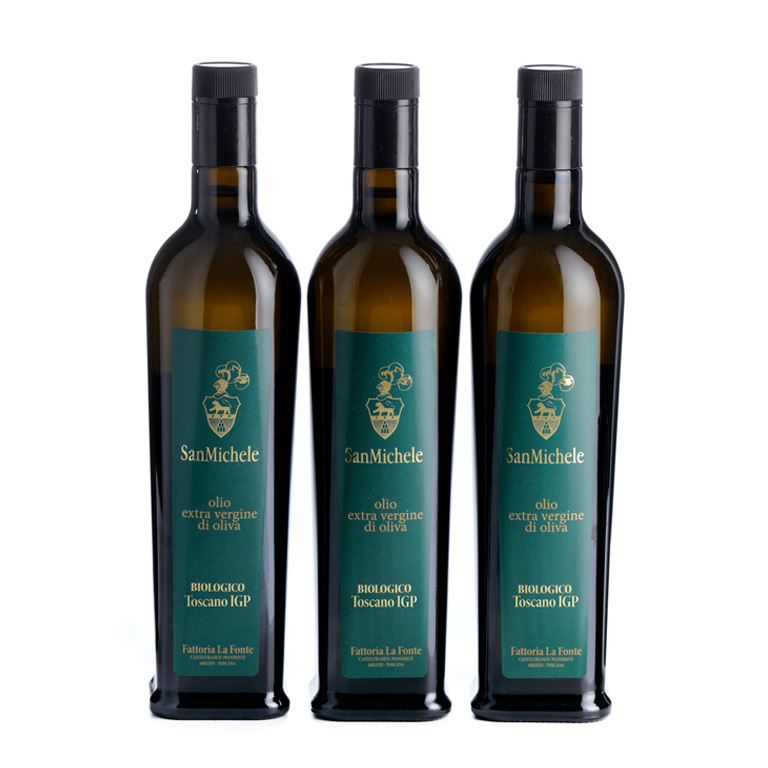 The olives are hand-picked and cold pressed within 12 hours of harvesting. 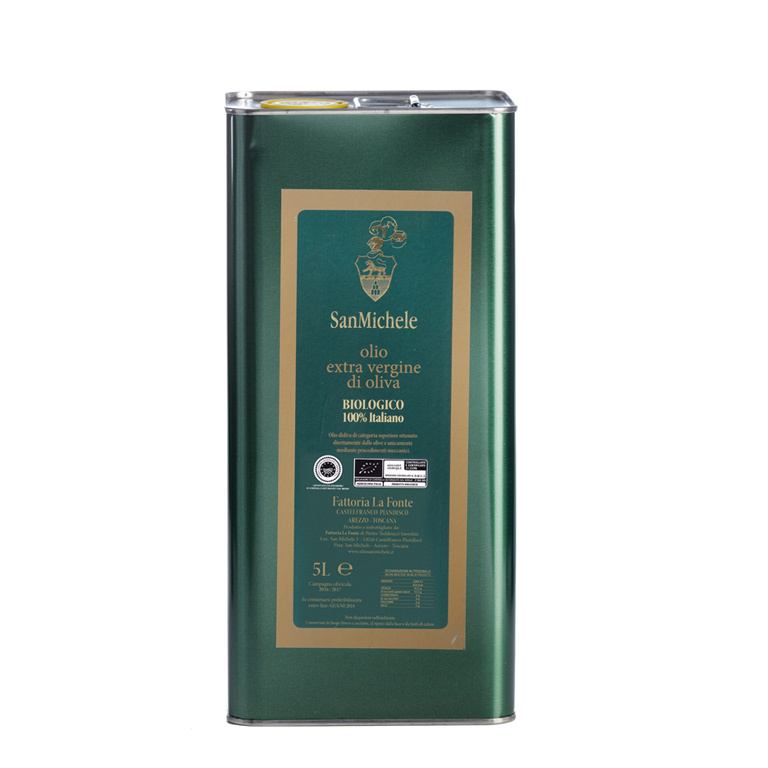 The mixture of olives harvested at the different altitudes of the land gives the oil its unique taste, aromas and balance of organoleptic composition. 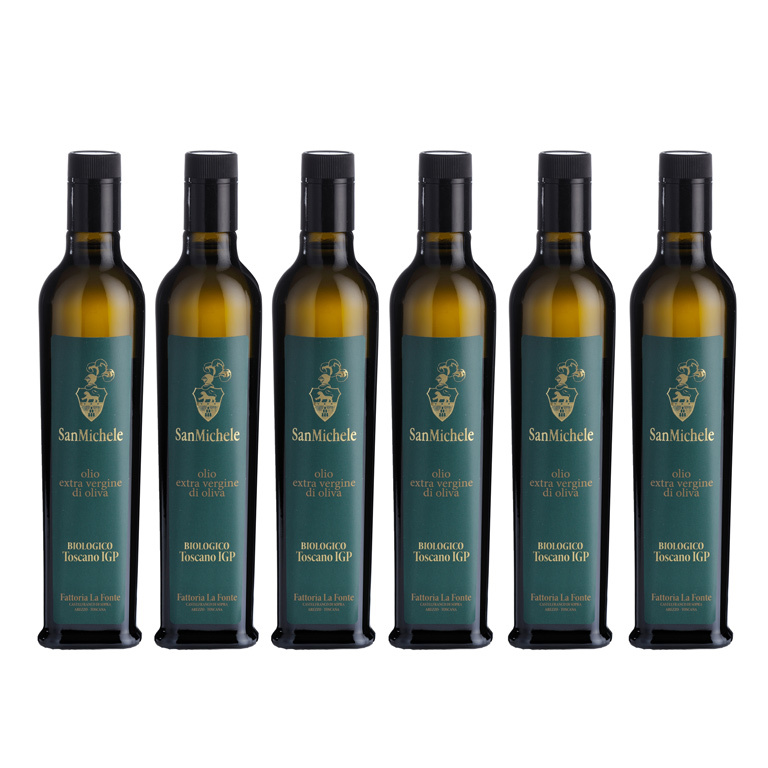 This is why we have a unique Organic Extra Virgin Olive Oil speciality. 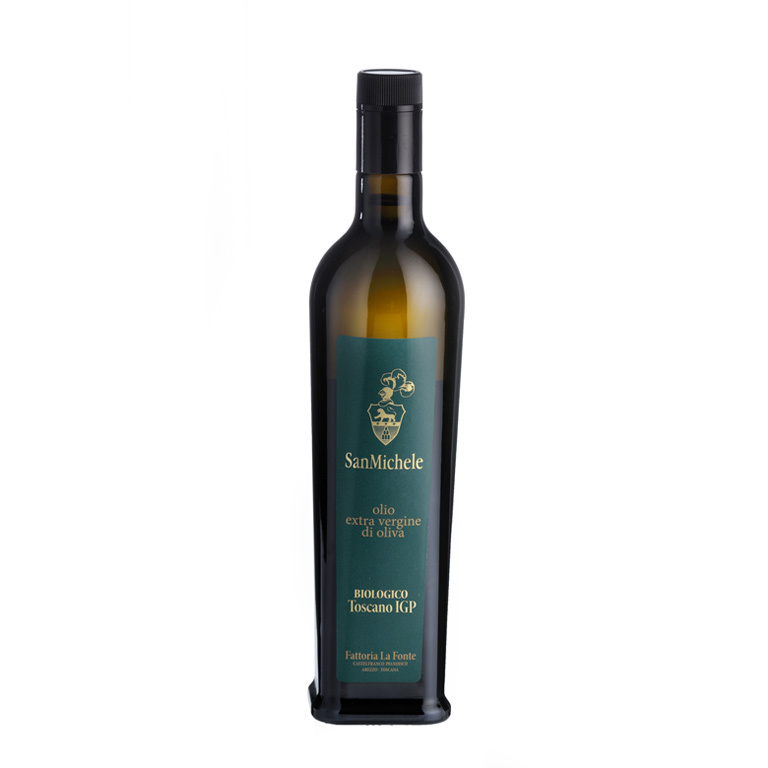 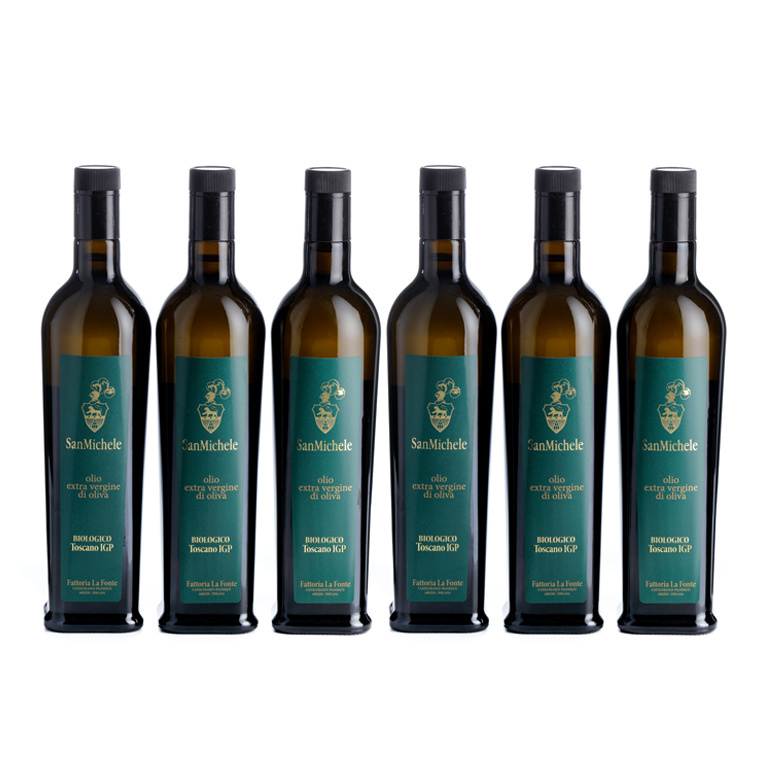 Organic extra virgin olive oil, produced from olives harvested when perfectly ripe and with a balanced composition, fine aromas linked to the fruity-plant and with a total absence of defects. 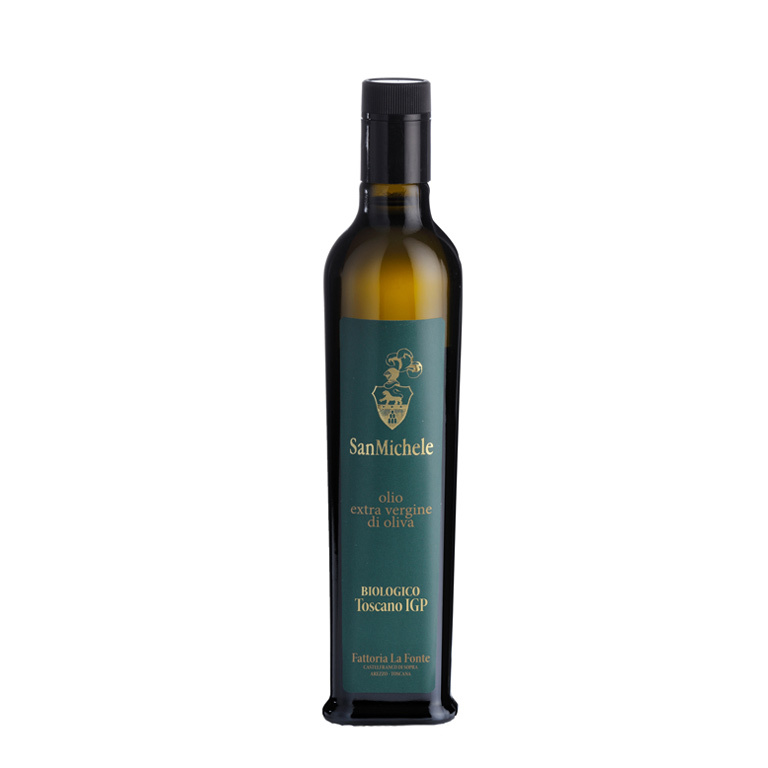 Excellent balance in the mouth, medium to strong taste, with significant spice but a well-balanced overall taste.